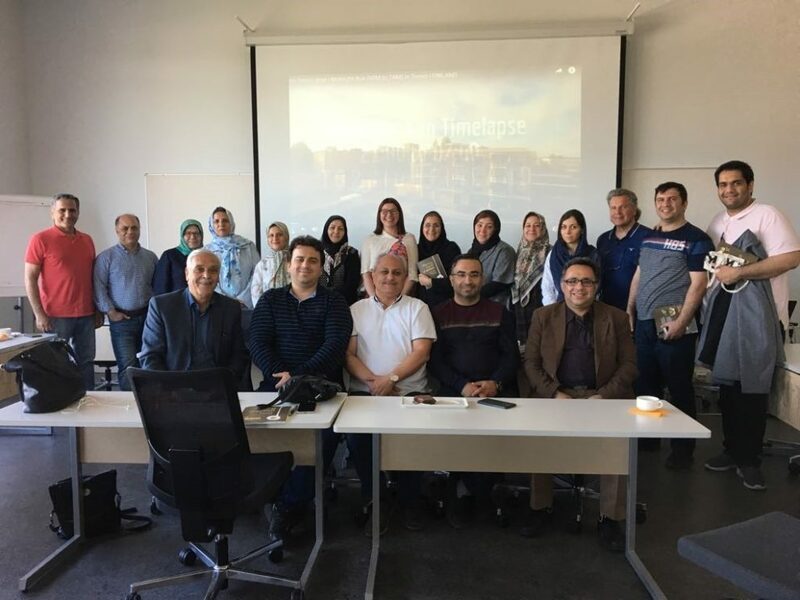 A total of 17 Iranian educational experts visited in Joensuu in May 2018. The group consisted of private school principals and teachers. The visit was organized by EduVirma‘s Managing Director Hannu Naumanen. The group’s journey to Finland was enabled by the contacts of Mika Vanhanen, founder of ENO-Environment online school. The pilot visit aimed to open up new opportunities for knowledge transfer between Finnish and Iranian partners. 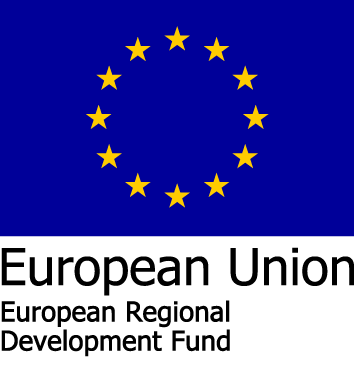 Among other things, the group was briefed on the activities of Joensuu Science Park and Global Education Park Finland (shortly: EduPark) educational cluster and network. The program also included getting acquainted with teacher education at the University of Eastern Finland. The pedagogical focus of the Iranians was attached to the external framework of the schools, the learning environment, the teamwork of the students and the participatory activities. The design of the curriculum was seen to increase students’ self-esteem, interaction, trust and appreciation for school. Also, the support of pupils with learning problems and guidance methods were of interest to the Iranians. The visit took place during the annual international science and technology festival ‘SciFest 2018’ on which the delegation had a possibility to participate. 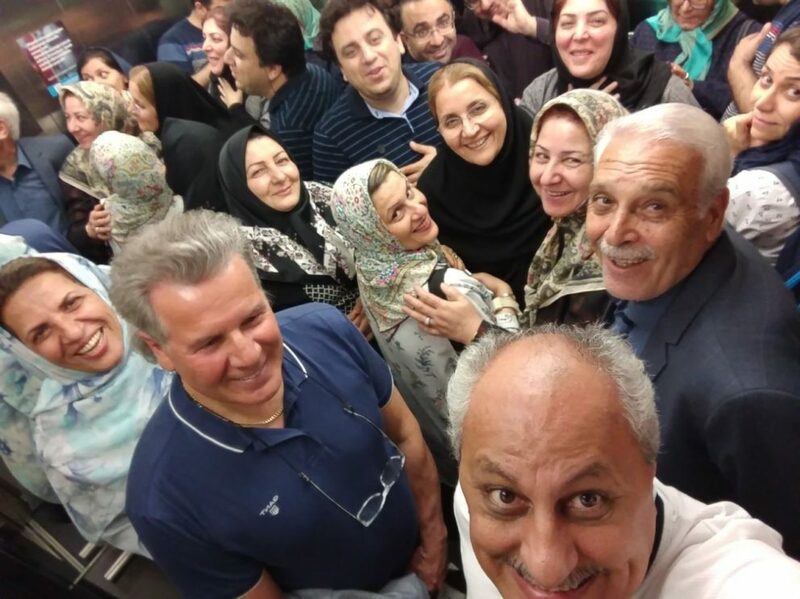 SciFest delighted the Iranian visitors who informed the organizers of a tentative plan to organize an Iranian group workshop for next year’s SciFest. 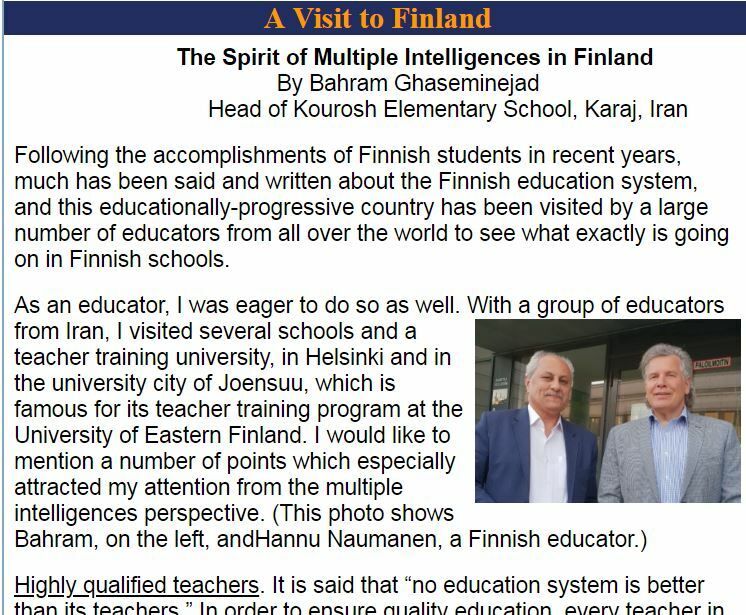 The Iranian educational expert visit to Joensuu was successful. The next new Iranian study group is coming in September 2018. In the future, Iranians will be interested in getting acquainted with vocational training and kindergartens. Moreover, monitoring lessons and learning about special education will be the goals of the following visits. 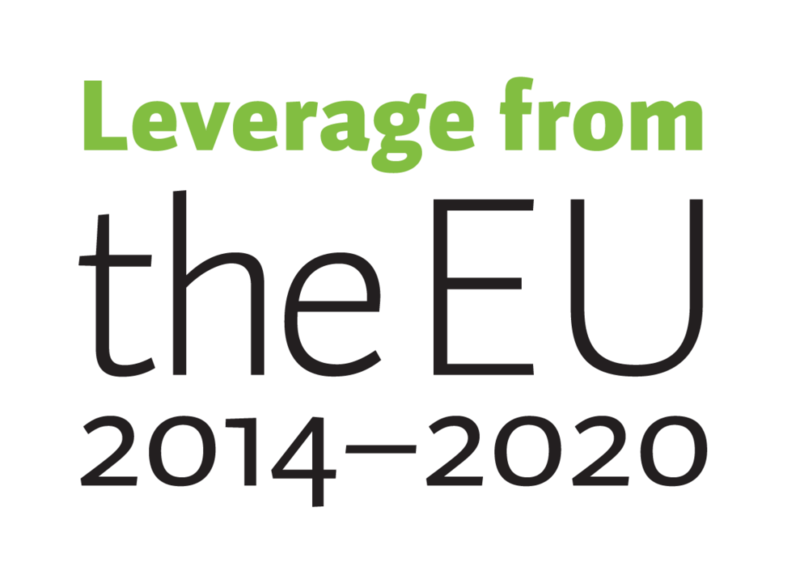 The visit is one of the examples the Edupark ecosystem can provide for international visitors. Edupark.fi warmly welcomes all the new foreign training groups to Joensuu to learn together the best Finnish training practices. You can contact the Edupark.fi team or Hannu Naumanen’s Eduvirma company. The Iranian delegation also produced an article about the visit to Intelligence Connections. Read the whole article here or by clicking the image below.